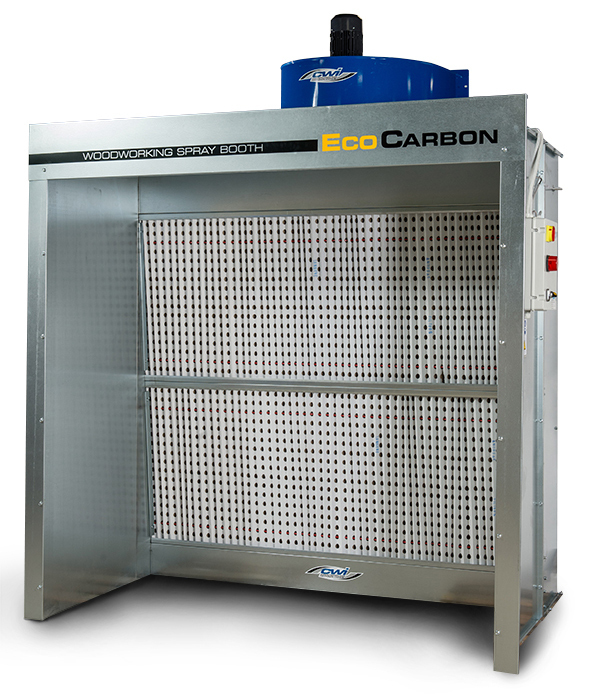 EcoCarbon Spray Booths are manufactured to solve air quality problems in smaller woodworking shops produced by their finishing methods. Spray finishes are completely filtered to be free of pollutants and odors as they pass through our unique three stage filter process .The EcoCarbon spray booth will allow the air to be returned directly back into the shop fully cleaned and eliminating the needs for air make up units. The EcoCarbon Woodworking Spray Booths by CWI are designed to benefit today’s environmental woodworking concerns. We can custom order different sizes of booths if you don’t see the size of booth you need.